Last night, GROHE, the world leading German manufacturer in sanitary fittings, and The American University in Dubai (AUD) celebrated the official signing of their memorandum of understanding (MOU) at an exclusive event at AUD’s campus. 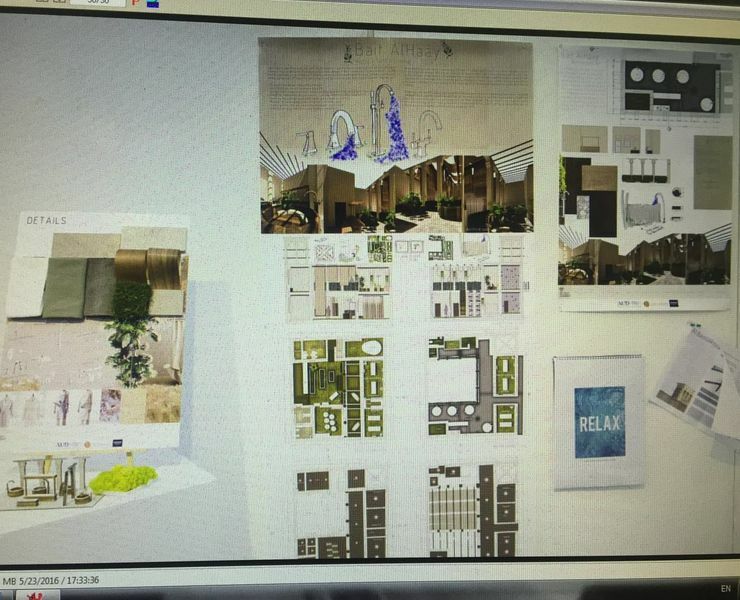 This year saw GROHE and AUD partner together on the University’s 2016 Spring Semester Wellness and Spa Course– an advanced Interior Design course focusing on wellness centers analysis, planning and design. The event also celebrated the culmination and winner of the “WATER & SAND” Design Atelier a collaboration between GROHE, AUD, and ALSERKAL Cultural Foundation. 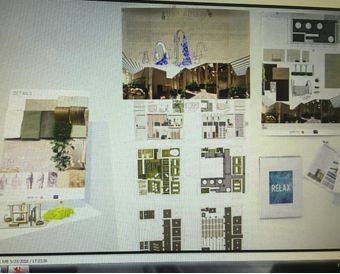 During the unique design atelier, also part of the Wellness and Spa course, students developed a wellness project located in a wind tower house in the cultural area of Al Fahidi District- Dubai using a GROHE Spa range. Prof. Albert S. Fakhoury and Interior Design Professors Annamaria Lambri and Jasmine Shahin led students through this challenging and exciting journey alongside Ms. Lina Varytimidou, Director PR and Head of GROHE SPA in the East Mediterranean, Middle East & Africa who played an instrumental role in this collaboration. The official event was attended by GROHE senior spokespeople including by Mr. Simon G. Shaya, the General Manager and President for East Mediterranean, Middle East, and Africa, Antoine Khalife, Vice President for Levant and GCC, Lina Varytimidou, Director of PR and Head of GROHE SPA and Firas Ibrahim, Sales Director Projects-Gulf. From AUD, in attendance were AUD senior spokespeople including the President Dr. Lance De Masi, AUD’s Provost Dr. Jihad S. Nader, the School of Architecture, Art and Design Dean, Dr. Nabyl Chenaf, the Chair of the Interior Design Department, Prof. Albert Fakhoury, and the Director of External Relations, Mrs. Peggy Awad. 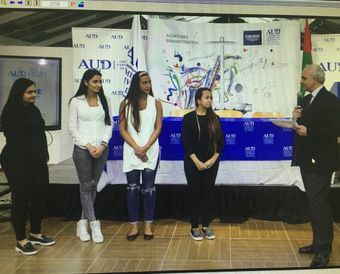 Students from the Wellness and Spa Course attended the MOU signing event and were awarded certificates for their work and efforts during the course. The overall winner of the final assignment was announced, and Maha Haya was given the grand prize of a highly competitive internship at the GROHE office in Dubai. President De Masi opened the event with a welcome speech where he emphasized the successes of the relationship with GROHE, and the importance of the signing of the Memorandum of Understanding (MOU) between GROHE and AUD. He continued to highlight the strong value exchange for both partners and most importantly, the students. During the event, guests were also given the opportunity to view the student’s’ work which was displayed alongside GROHE’s latest and flagship products. 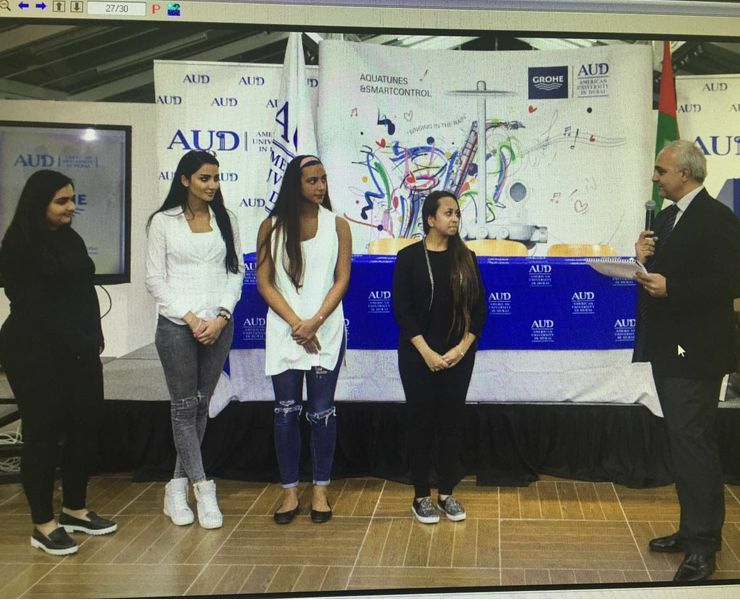 President De Masi of AUD also spoke about the partnership saying, “The Interior Design Program at the American University in Dubai, the only independent one outside of north America to hold accreditation by the Council for Interior Design Accreditation (CIDA), aims to propel students who are driven, skilled and capable of combining design and technology to enhance the lives of consumers. By partnering with GROHE, we believe our students are more future-ready and inspired to take on the design industry." Interior design companies and institutions as well as faculty members and the AUD community were also in attendance at the event. GROHE has a global workforce of around 6,000 people. There are about 2,400 employees working in Germany. GROHE runs three production plants in Germany as well as several plants in other markets. In 2014, the company generated consolidated sales of €1.2 billion with its comprehensive product portfolio for bathroom and kitchen. Some 85 percent of its sales are currently generated outside Germany. The LIXIL Group, which is organized as four technology business units, is the global leader in the building materials and housing equipment industries. GROHE is part of the LIXIL Water Technology business unit and led as an independent brand. AUD is officially licensed by the UAE Ministry of Higher Education and Scientific Research. The Ministry has accredited the university’s programs in International Studies, Business Administration (both undergraduate and graduate), Communication and Information Studies, Engineering, Architecture, Visual Communication and Interior Design, Education (graduate), and Construction Management (graduate), in addition to a Certificate program in Middle Eastern Studies. 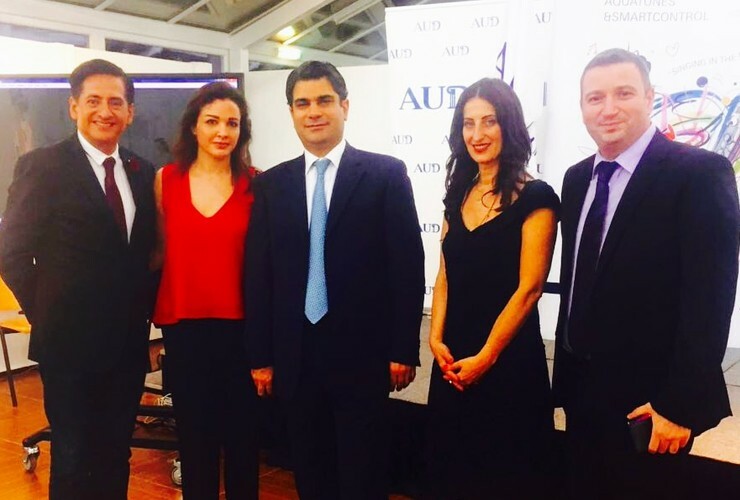 AUD is permitted by the Knowledge and Human Development Authority (KHDA). AUD is accredited in the USA by the Southern Association of Colleges and Schools (SACS) Commission on Colleges (COC) to award Bachelor’s and Master’s degrees. AUD has received specialized accreditation for its Bachelor’s of Business Administration (B.B.A. ), and Master’s of Business Administration (M.B.A.) degree programs in business through the International Assembly for Collegiate Business Education (IACBE). The university’s undergraduate majors in Marketing Communications and Advertising have been accredited by the International Advertising Association (IAA) in New York. The Civil, Computer, Electrical and Mechanical Engineering Programs of AUD’s School of Engineering are accredited by the Engineering Accreditation Commission of ABET. The Bachelor of Communication and Information Studies program, with majors in (1) Digital Production and Storytelling and (2) Journalism is accredited by the Accrediting Council on Education in Journalism and Mass Communications (ACEJMC).